FEMA has awarded a hefty grant to go toward a St. Thomas Fire Station, to ensure it’s better equipped to withstand hurricane-force winds. 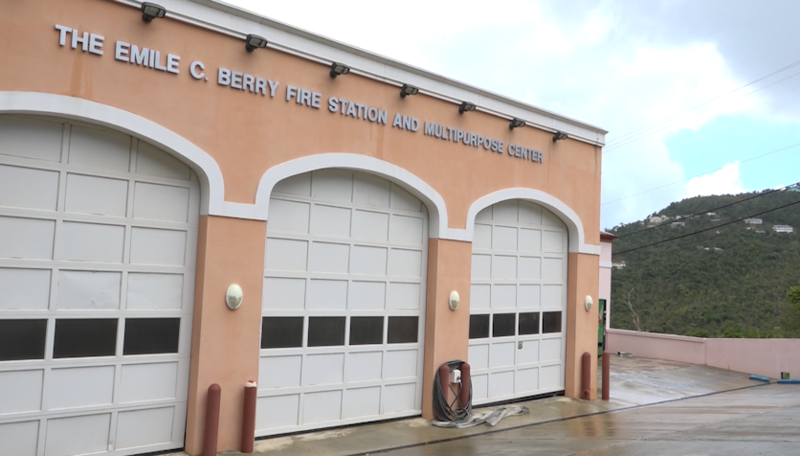 FEMA awarded more than $162,000 for the Emile C. Berry Fire Station in St. Thomas. The fire station serves about 20,000 Virgin Islanders. The location also serves as an alternate emergency operations center. But the St. Thomas station sustained significant damage during hurricane irma, when severe winds and rain breached the facilities. The money,from FEMA’s Hazard Mitigation Grant Program, will provide the funding needed to retro-fit five of the station’s structures, enabling the structure to withstand winds speeds of more than 180 miles per hour. It’ll also protect from flying debris and wind-driven rain to reduce future structural damage or failure. Hear from Fire Director Designee of the Virgin Islands Fire Service Daryl A. George above. Lots of work is going to be happening. Hurricane roof straps will be installed, along with hurricane shutters, and lots more. Once the work is underway on this critical facility, it is estimated to take up to three years to complete.